Very cool concept; I’ve never heard of take and bake before! Hmmm…I’m thinking maybe I’ll bake a batch of those chocolate peppermint cupcakes to bring that day we finally meet up! @Lex: You can always try Craftsman 1903 – it’s vegan and they serve it @ Father’s Office. Much better than that French fake German beer Kronenbourg, the Budweiser of France! 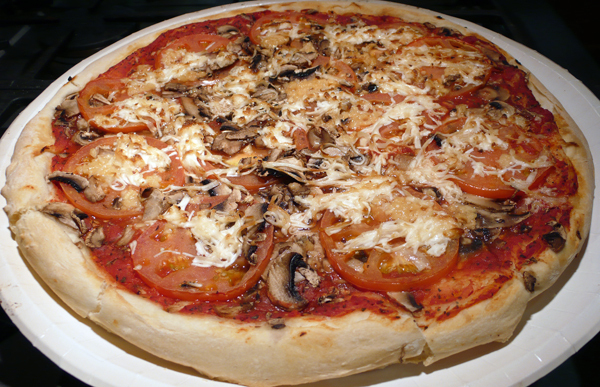 mmm….vegan pizza. looks totally delicious. I never bothered with Nick ‘n’ Willy’s, maybe I’ll check it out, though. Do you guys have a pizza stone for your oven? Seems like you make lots of pizza. @scvegan oh yeah dude, we have a pizza stone. 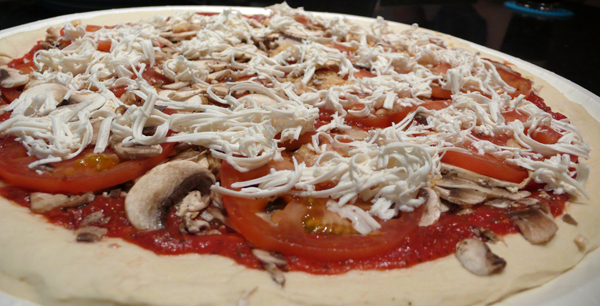 we will find that perfect vegan pizza someday. it’s getting close. i will taste it in my lifetime, i know. I promise I make the best Vegan Pizza on the planet, but I don’t know how you do it w/o bell peppers, though!!! @adriana: awesome!! it may be worth the drive. i am always down for some pizza huffin’ on the go. 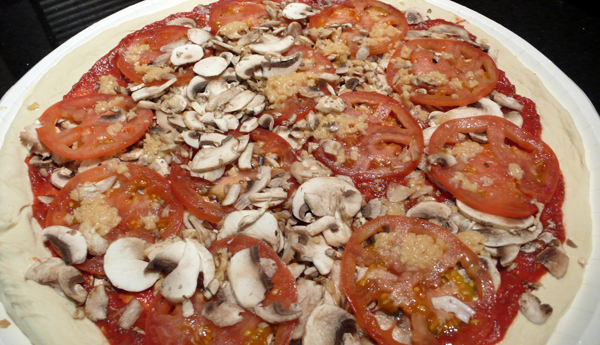 We’ve taken to buying the vegan pizza dough at Trader Joes and making it at home. Just as good and way cheaper. 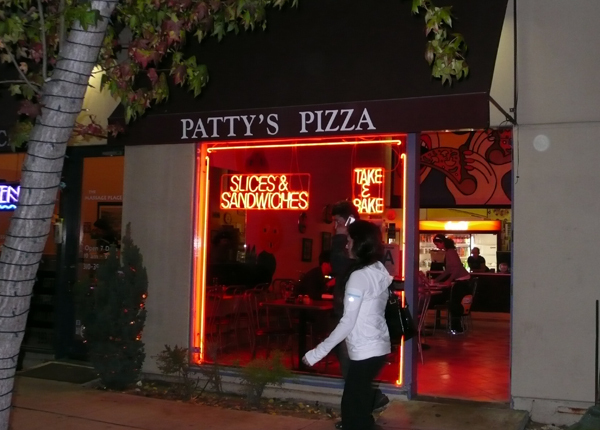 We just called Patty’s and they said they put egg in their dough. 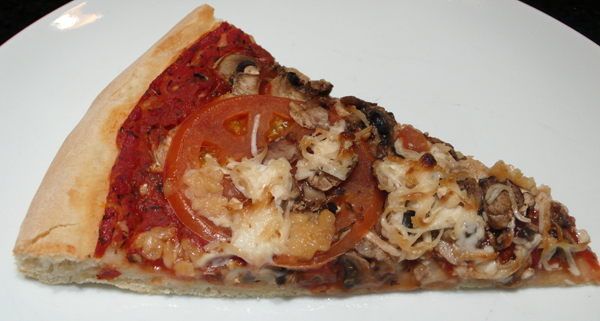 There are several Papa Murphy’s locations in Orange County. 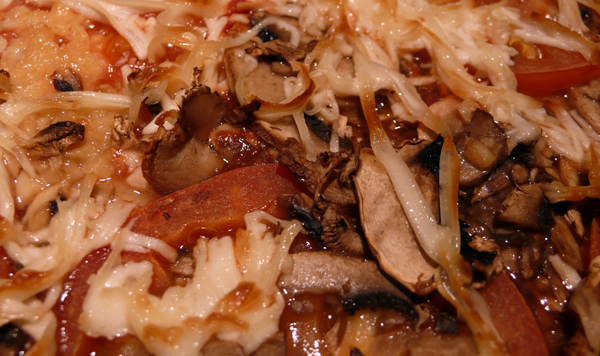 Their website lists all the ingredients that go into the sauces and different crusts. According to the ingredient list looks like all the crusts and every sauce but the creamy garlic sauce. When you go to the allergen page it has a chart where items noted with a B=Some of these product’s ingredients are manufactured in a facility that share common equipment with the Allergen and items noted with a C= Some of these product’s ingredients are manufactured in a facility where the Allergen is present. So it would depend if that bothers you or not. My friends order from Papa Murphys all the time. I never thought to add my own cheese!